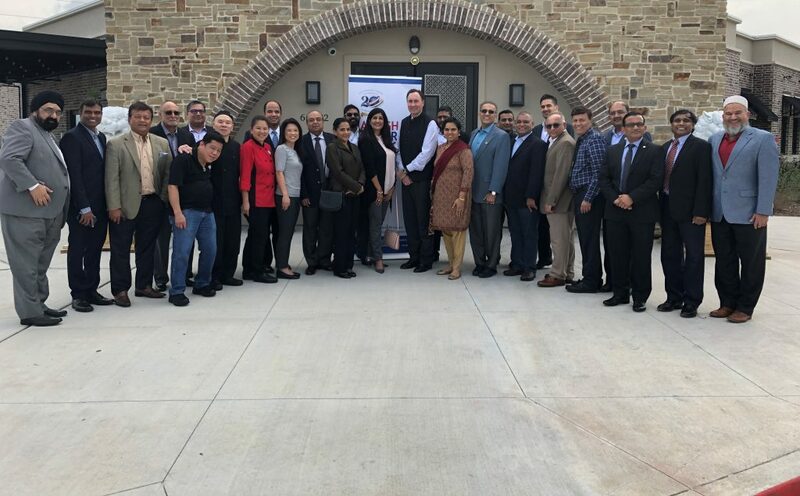 The Indo American Chamber of Commerce of Greater Houston (IACCGH) continued its Power Dialogue series on March 2nd Saturday with the Board of Directors and select versatile group of business owners, professionals, academicians at Aling’s Hakka with Congressman Pete Olson. In his introductory remarks, Executive Director Jagdip Ahluwalia explained the connection and the mission of the Chamber. He recollected that such a Power Dialogue was kicked off in 2013 with Congressman Olson. President Swapan Dhairyawan welcomed the Congressman & the attendees and commended the efforts of Pete Olson in making Sugar Land one of the best cities in the United States. In his comments & Dialog, the Congressman delivered he stated ” It was an honor to join the Indo-American Chamber of Commerce of Greater Houston for their recent Power Dialogue lunch series. I feel blessed to represent one of the most culturally diverse districts in Congress because our diversity strengthens and enriches our community. Our economy has experienced explosive growth since the Republican-led Congress passed the Tax Cuts and Jobs Act. Over 1.6 million jobs have been created and our 3.7% unemployment rate is at a 17 year low. The tax cuts have helped business both small and large expand and provide their employees with new opportunities. In addition to discussing the benefits of tax reform, local job creators also raised other issues they face as they work to stimulate our economy. A top issue is the pace of renewal visas for folks wanting to come to the US from India to become local job creators. Our team in Sugar Land is always happy to answer immigration or any other federal government related questions and serve as a liaison between our constituents and agencies. Encouraging younger generations to be actively involved in our community is a passion I share with the IACCGH. Young folks are our future and can expand the economic, cultural and societal progress our communities have already made. The outreach and support IACCGH provides to lift up our children encourage community leadership that will strengthen our future. I appreciate being invited to the Power Dialogue lunch series for open dialogue and discussion. “ After a working lunch and Q&A from the attendees, the event ended with the presentation of mementos and “Modi jacket” to the Congressman who was very delighted and wore the same immediately and mingled with the attendees with ease.